Dillian Whyte has given Dereck Chisora and his new manager David Haye an ultimatum, agree to terms this week or miss out on a December showdown in London. Whyte is looking for a rematch against Chisora on December 22nd at the O2 Arena in London but has been stuck in negotiations with Chisora and is tired of waiting in limbo. 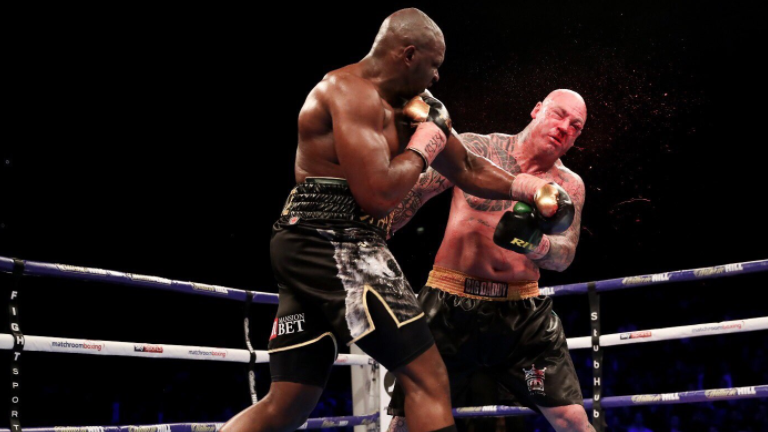 “I think it needs to be done this week, if it’s going to be him [Chisora],” Whyte told Sky Sports. “There’s other options on the table we are looking at. [Promoter] Eddie [Hearn] is speaking to a few people. “There is a massive danger he will miss out on a career highest pay day. At the minute, as the deal stands, it’s getting worse. When asked about the new business relationship between Chisora and Haye, who had a bitter showdown in 2012, Whyte was hopeful Haye will drill some sense into his potential opponent. With Whyte and promoter Eddie Hearn looking at other options, Luis Ortiz’ name popped up as he’s been calling for a fight with Whyte for several months. “[Dominic] Breazeale, Luis Ortiz or Adam Kownacki, [Jarrell] Miller, all of those guys,” said Whyte. “Those are the kind of guys I would like to fight, so let’s see what happens.